Great as a snack or part of a dessert this finger food is delicious and simple to make. The healthy protein snack food market is growing at a rapid rate, with an endless supply of products for us to choose from on the go. However, some of these products may contain nasties such as unhealthy preservatives, refined sugars and ingredients that may not doing our bodies any good. 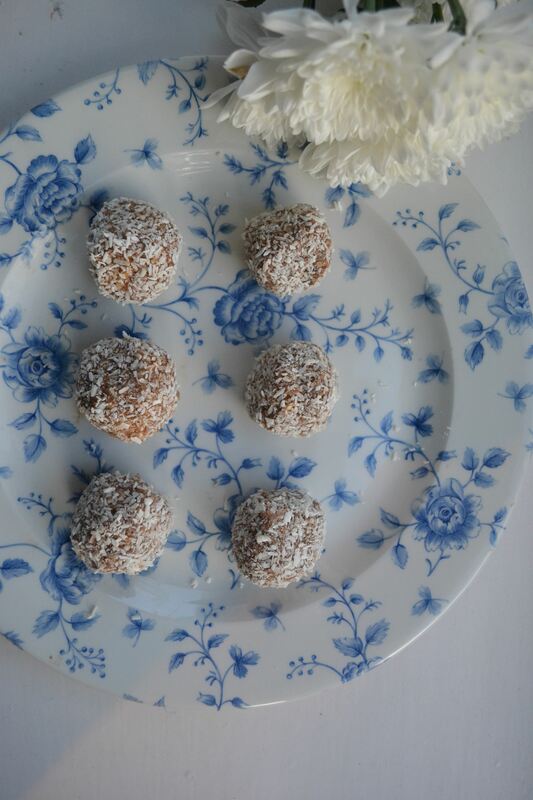 Try making your own protein balls by following the recipe below, which is jam-packed with protein, healthy unsaturated fats, is gluten free and dairy free! Add the cashew nuts into a food processor and grind up until fine. In a large mixing bowl, add all of the ingredients except the coconut. Add 2 tablespoons of coconut in and mix until all ingredients are evenly distributed. On a clean surface, put 3 tablespoons of dessicated coconut and remove 6 even ball shaped portions of mixture from the mixing bowl. Roll these on top of the coconut to help coat the outside of each portion evenly. Pop the protein balls into a fridge for 1 hour and serve.